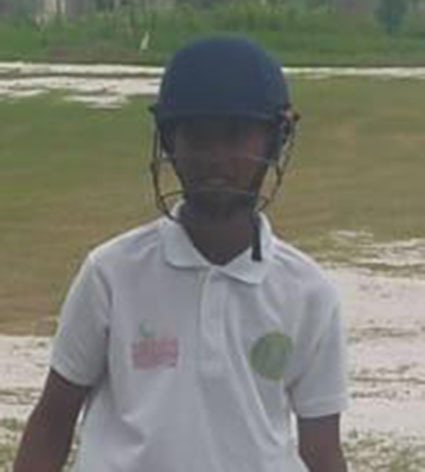 Despite a century from Ushadiva Balgobin, Ricardo Ramdehol’s 98 was enough to ensure Muslim Youth Organization (MYO) defeat Everest Cricket Club Under 17s by three wickets in the Georgetown Cricket Association/Friends of Cricket 100 overs tournament on Sunday. Playing at the small MYO facility, Everest took first strike and posted 223 all out in 42.2 overs while MYO aced the chase, reaching 224-7 in 34 overs. Everest were off to a flying start with openers, Anthony Khan and Mathew Nandu putting on 48. 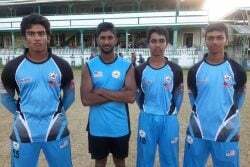 MYO fought back with the wickets of Khan (17), Varun Mangla (5) and Reynaldo Mohammed (1). Nandu soon followed for 46 after hitting six fours and two sixes but Balgobin revived the innings from 4-97 to 213 when he departed for 106. Balgobin’s shot-filled innings saw him consistently dispatching the ball into the trench parallel to the ground and straight back into the pavilion for his 11 sixes and five fours. 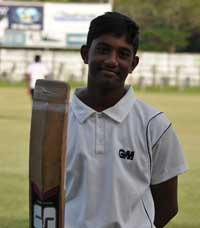 Balgobin took majority of the strike and scoring as the other batsmen failed to reach double figures. Krisna Singh was the pick of the bowlers with 5-37 while Niran Bissu bagged 2-36. In reply, MYO were brisk, reaching 82 in their first 10 overs with Tomani Caesar and Daren Dat scoring 14 each but the bulk of the load was carried by Ramdehol who smashed six sixes and seven fours during his innings with support coming from Zachariah Mootoo who bashed five fours in his composed innings of 47. Balgobin and Mohammed returned to take two wickets each but were unable to carry their side over the line. Club (DCC) were locked in battle at the DCC home located in Queenstown with GCC winning by five wickets in the latest contest. 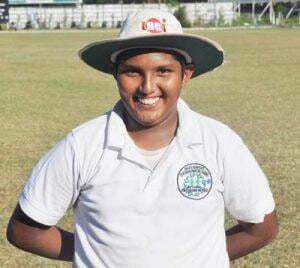 DCC batted their full 55 overs and posted 234-4 but that was not enough as GCC only required 40 overs to reach 235-5 as West Indies Under-16, Mavindra Dindyal hammered a century. 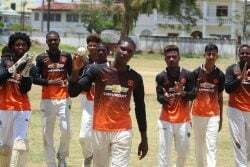 Dindyal pounded 15 fours and five sixes on his way to 120 and was supported by Rivaldo Phillips (35) and Romel Datterdeen (27 not out) who both stroked three fours and one six.